Once again the local dailies live in parallel universes. 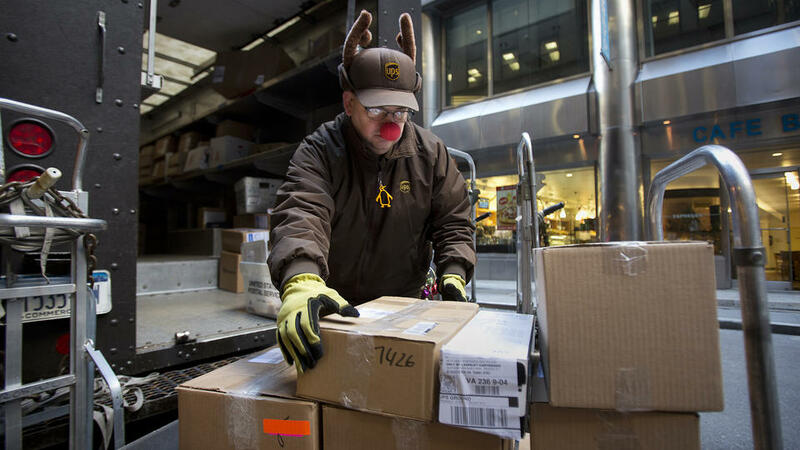 A Christmas delivery meltdown that saw retailers and shippers failing to del­iver gifts on time for the holiday could spur an upheaval — and even a backlash — in online shopping, experts said yesterday, as consumers took to social media to vent their spleen. that last-minute type of delivery. 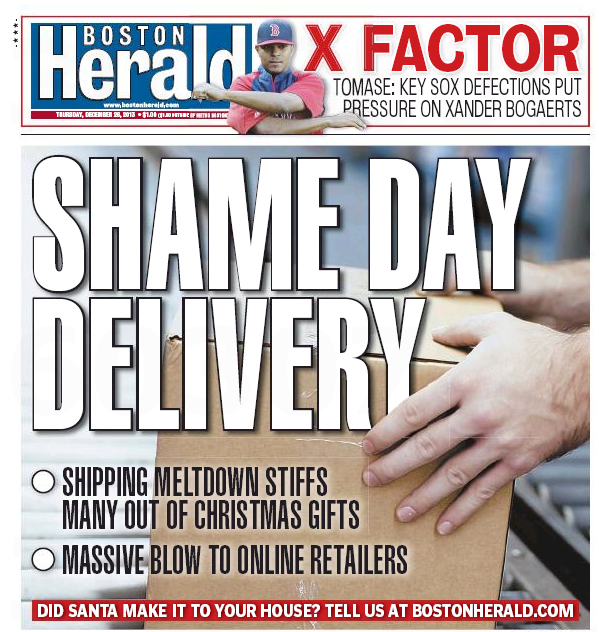 I don’t think there’s any doubt that a lot of consumers and stores alike were really besieged at the last moment,” said Jon Hurst, president of the Retailers Association of Massachusetts. 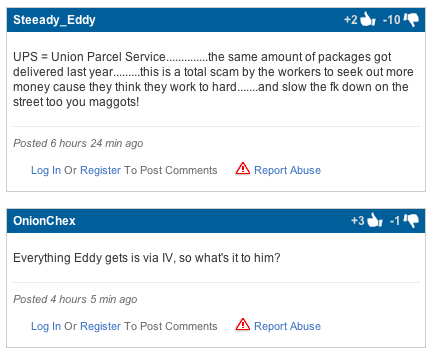 Reaction by Herald commenters was decidedly mixed. Crosstown at the Boston Globe, the story was . . . lost in transit. Today’s stately local broadsheet has nothing on the carriers putting the X in Xmas, but it did have this helpful primer on returning gifts. The garish sweater from your aunt. The Chia Pet from your brother-in-law. The PlayStation game from a grandmother who forgot you have an Xbox. Getting rid of unwanted gifts is as much a holiday tradition as receiving them. 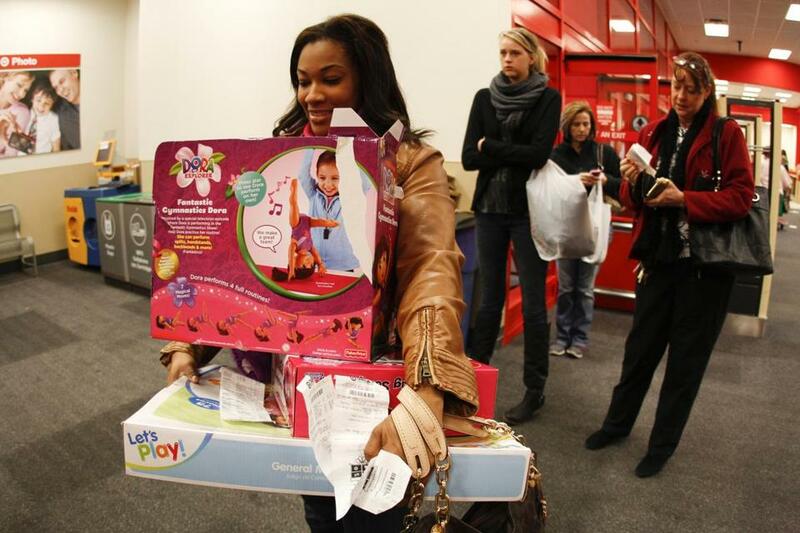 About one-third of consumers returned at least one gift last year, according to the National Retail Federation, and many still do it the old-fashioned way: at a store’s customer service counter. But before you get in line, take some basic steps to make it less aggravating. Most crucially, if you received a receipt with your gift, keep it until you are sure you won’t be returning the item, said Edgar Dworsky, the Somerville-based founder of the consumer advocacy and education site ConsumerWorld.com. Really? A lot of people include a receipt with their Christmas presents? The hard gifting staff had no idea. 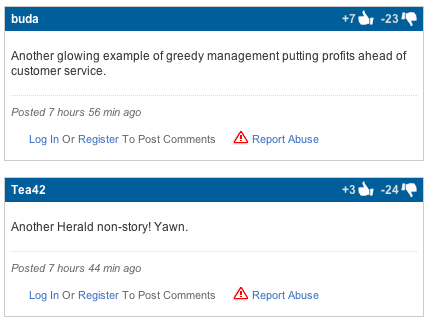 One last thing: This time, at least, the Herald had the better nose for news. The Wall Street Journal had the carrier meltdown on its front page today, and the New York Times ran it on D1 of the Business section. Season’s Beatings in the daily bakeoff, eh?